Trending in Arrests - Narcotics & Probation Violation. Residential Burglaries continue, See Something, Say Something! Each week, we will post an arrest of interest pointing toward arrest and crime trends within Arcadia. Drug arrests are often found in our weekly logs and many stem from traffic stops and other contacts. Kristoffer D. Kohl, a 43-year-old male from Fontana was stopped for a traffic violation after leaving one of our local motels on December 17th. 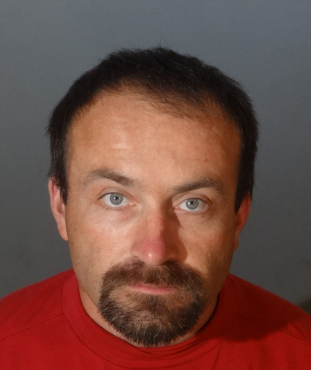 The male had an active warrant out of San Bernardino County for a narcotics violation and was found to be in possession of narcotics/paraphernalia when he was contacted. Kohl was booked at the Arcadia City Jail on the "no bail" warrant, the felony drug charge, and a violation of his probation. 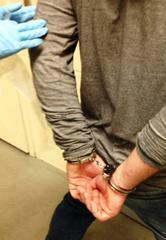 And, yes, bait package arrests continue with several this past week and 3 arrested on Tuesday. Property crime and residential burglary continue to spike in this holiday season. Most burglaries are daytime with the point of entry being a rear door or window. Please remember to be vigilant in your neighborhoods and if you see anyone or anything out of the ordinary, call us! If you See Something, Say Something!